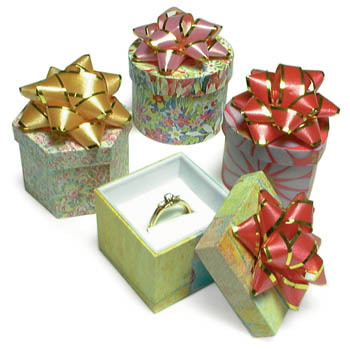 Colorful paper covered ring boxes have matching bows. Assorted shapes, 1-3/4" x 1-1/2". Prices per dozen.